The Whitewater Arts Alliance is hosting an exhibit of fiber art by the Whitewater Fiber Guild and art quilts by Kent Williams, Madison, at the Cultural Arts Center (402 W Main St, Whitewater) until August 28. The gallery is open from noon-5pm Thursday-Sunday. Viewing the exhibit is free, although donations are welcome. A public reception will be held on Sunday, August 28, from 1-3pm, at which the artists will be present. You can learn more, and Andersen Library can help! 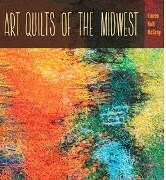 Search Books, media and more in Research@UWW to find titles such as Quilts: Their story and how to make them (3rd-floor Main Collection, NK9104 .W4 1948), The natural history of the traditional quilt (3rd-floor Main Collection, NK9104 .F67 1995), Art quilts of the Midwest (ebook via Project MUSE, preview via Google Books), Deana Harragarra Waters: Art quilts (2nd-floor Federal (U.S.) Documents, I 1.84:H 37x), Creative knitting; a new art form (3rd-floor Main Collection OVERSIZE, TT820 .P44; preview of newer ed. at Google Books), and Sheila Hicks: Weaving as metaphor (3rd-floor Main Collection, NK3012.A3 H52 2006; preview via Google Books). This entry was posted in around wisconsin and tagged art, books, culture, events, fiber arts, fun stuff, quilting, web sites, whitewater. Bookmark the permalink.